When it comes to dressing squirrelly boy, I like the simple, laid back, hip look. Think coloured skinny jeans or leggings, waffle knit top, a button up cardigan and brown lace up boots. Since squirrelly babe is a girl, I feel like I have more options. 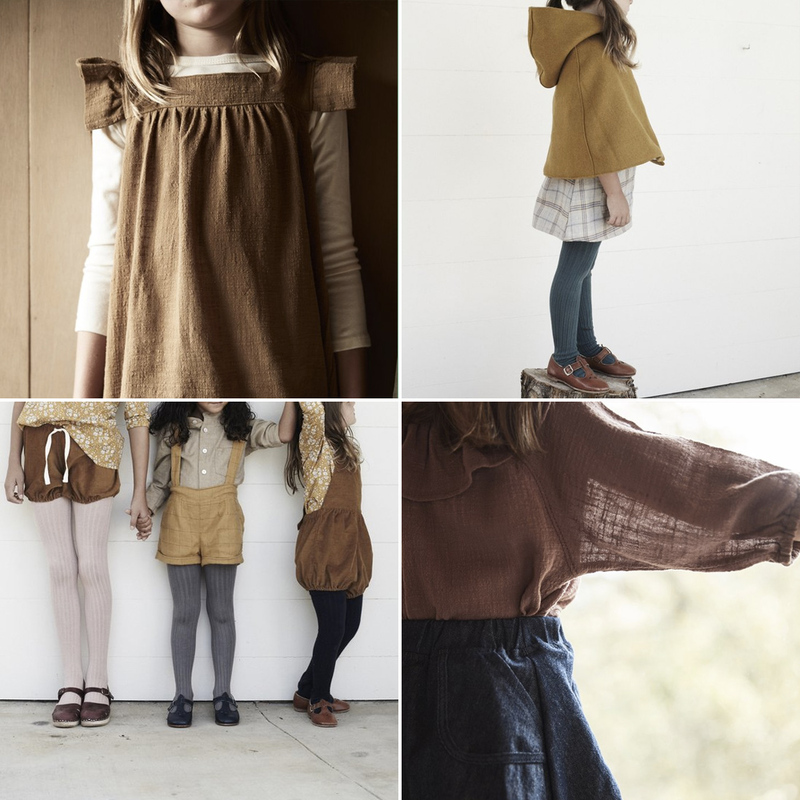 For girls, I love involve classic lines in naturally dyed linen or wool knit fabrics. It’s what I like to call modern classic feminine. I don’t know if I could ever completely pull this look off, but I can dream and ogle right? I’ve rounded up the best places to buy modern classic vintage baby girl clothes, just in case we share the same kind of style. I organized the shops into price categories, based on average price for blouses/shirts. Most of the shops I’ve found are in the $50-$100 range for a simple blouse. WAY out of my range for every day clothing items. What are your favourite shops? Hit me up in the comments cause I’d love to check them out! Zara | I love Zara baby clothing. Whenever I’m in a town that has one, I come out with a couple classic tops for squirrelly boy. 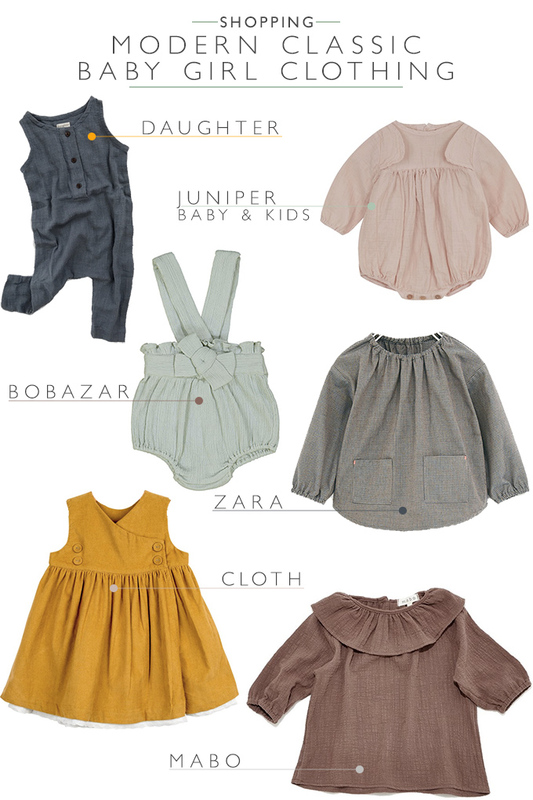 It has many styles, so you’ll have to sift through their inventory to find those perfectly modern classic baby pieces. Mabo Kids | This is the place to go for pinafore dresses, the ultimate classic girl look. Many of their materials are linen, woven slub, corduroy and denim. 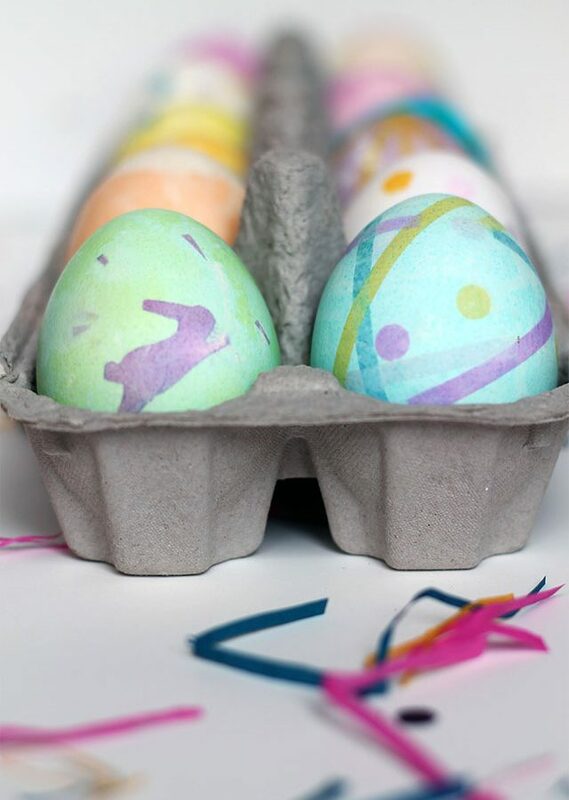 All those delicious, old fashioned textiles in earthy, jewel tone colours. Bobazar | A Canadian shop (hooray!) based in Montreal, their bloomers section is 100% adorable. And while this shop is among those on the pricey side, they have a handy price filter so you can search based on how much you want to spend. Cloth | A wide variety of pieces with nearly every thing matching the modern classic look. And you lucky US friends get free shipping. Daughter | A slim but beautiful collection in shades of white, denim and blush. I’m especially a fan of their rompers. 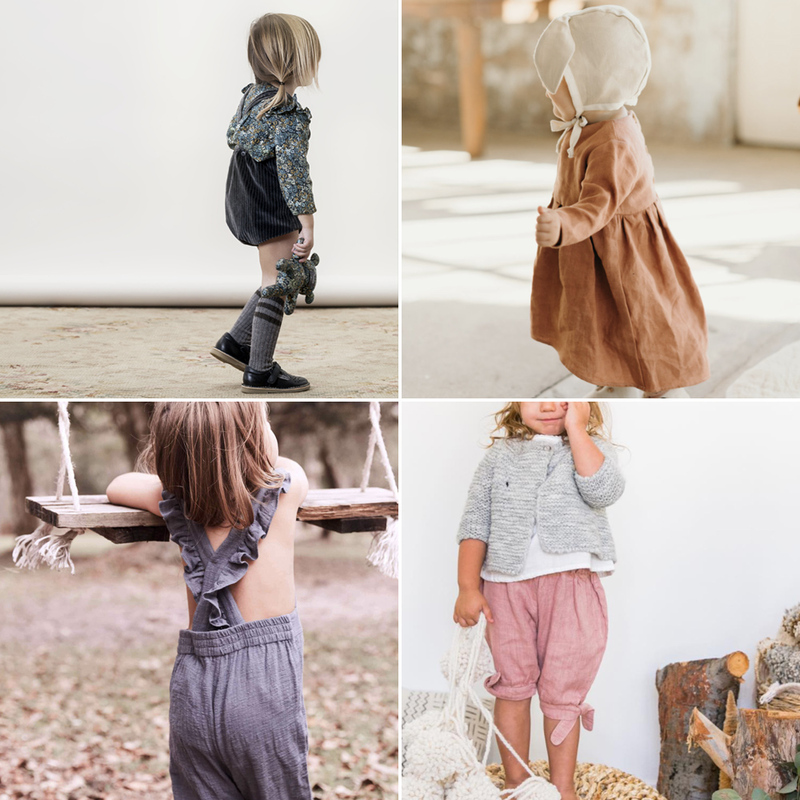 Juniper Baby + Kids | A mix of ruffles, clean lins, chunky knits and bloomer style onesies. Ultra modern classic little girl femme. Special mention goes out to Babyccino. 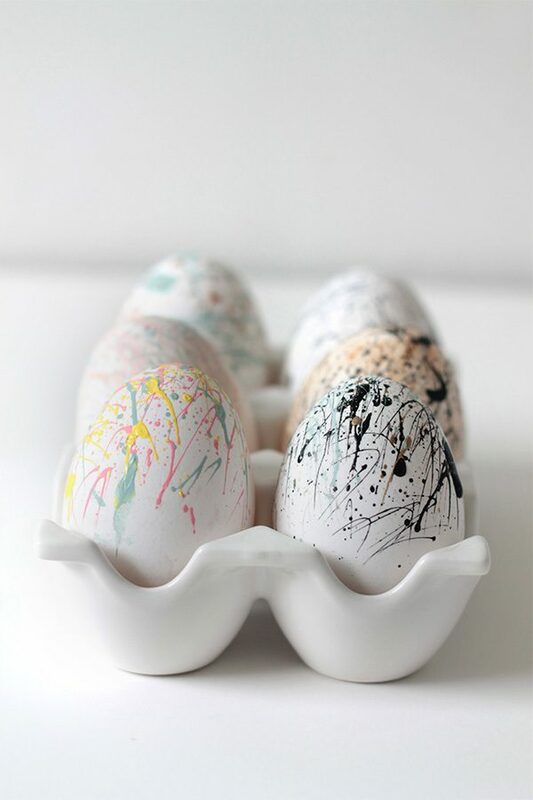 This store as a huge selection of stockists, linking directly to their site so you can peruse their goods. They have a wide range of styles (not just modern classic looks), but my favourites are Fawn Shoppe, Mama Owl, Hubble and Duke, and Kid Wild Organics. Hit me up, where do you think are the best places to buy modern classic vintage baby girl clothes? I need to know!